Have you decided to build eStore? And must be tired of searching which is suitable e-commerce platform for your online store. 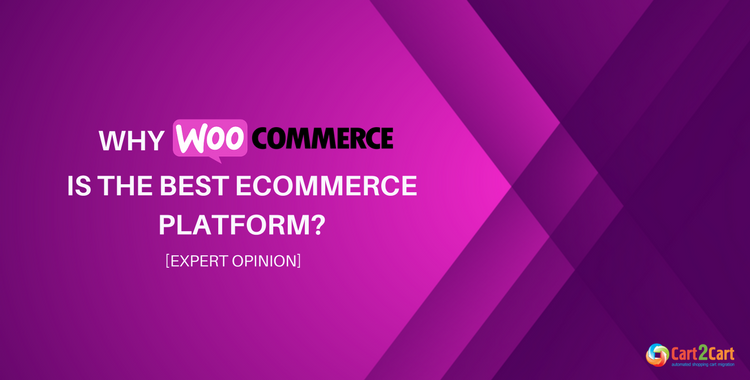 Undoubtedly, you've heard of the most famous and worldwide-used WordPress plugin - WooCommerce, yet have doubts whether it is the best ecommerce platform? Don’t worry, this article will help you to understand the WooCommerce platform, best free ecommerce platform, making decision to select it. WooCommerce development services are getting popular among the store owners and developers. WooCommerce is a free plugin and allows selling a range of various products. It is built to seamlessly integrate with WordPress. WooCommerce powers 30% of all online stores which is more than any other platforms; this was possible because of endless flexibility and access to hundreds of free and premium WordPress extensions. Those who are familiar with WordPress and desired to get a store up, running quickly and at a lower cost WooCommerce is an ideal platform. The powerful and applicable offerings of this open source ecommerce plugin are gearing up the WooCommerce development in the e-commerce market. Have a look at these offerings. For customizing your storefront, you have both paid or free a wealth of themes. As look-and-feel is the most important factor for selling online, WooCommerce provides you a full range of customizing options for the user interface. Native WooCommerce storefront is the place where you can spent hours wandering among fabulous designs, templates, themes and extensions. All of them are responsive and customer-friendly. To improve the management of your storefront, WooCommerce services will provide core features - structured admin setting to be used on mobile devices. WooCommerce has an ability to conserve your time and energy invested in content, it integrates with all your important content. When it is about managing your storefront, WooCommerce being a plugin for WordPress will offer you more. Pre-installed payment gateways which include Cheque Payment, Cash on Delivery, Direct Bank Transfer, Credit card payments via PayPal or with Simplify Commerce. It is easy to set your preferred order on the front-end with the drag and drop on the back-end. WooCommerce provides a currency and built-in geolocation support. This geolocation support makes the shipping and tax calculations simpler by allowing your store to auto-detect customer’s address. The currency support allows you to select a currency from a range of pre-set currencies and easily configure the default currency. With WooCommerce you are able to Control the checkout process. During the checkout process, you can set specific URLs handling specific actions. WooCommerce keeps your checkout secure with security certificates. On add-to-cart buttons, WooCommerce optionally uses AJAX which reduces page loading, since the store doesn’t have to reload each time a customer edits their cart or adds a product to it. WooCommerce platform is the best option for those who are looking for something convenient with management features such as drag and drop payment processing. The Core and Extensions enhances WooCommerce Development Services providing a marketing platform with helpful features to drive traffic. WooCommerce experts have admired below-listed WooCommerce features that include SEO, product reviews, coupons, and more. Through the use of coupons, customers are given free shipping and you can set an expiration date for the coupon. WooCommerce lets you choose the desired coupon among different options - Cart discount, cart product discount, product percentage or percentage discount. WooCommerce is recognized as one of the best platforms for SEO practices in the industry. It offers to enable or disable the option to leave product reviews by customers in your store. You can choose to show a verified customer label for review and get reviews from verified customers. Along with these marketing features the custom WooCommerce avails various plugin: Social Media Integration, Follow-up emails, Wish Lists, Live sales feed, Smart Coupons, Cart notices and Cart Add-ons etc. WooCommerce conveniently set with your WordPress back-end. And online store management is easy with WooCommerce. You can control the store with two tabs i.e. WooCommerce + Products tab which will let you manage the Payment Gateway, Coupons, Plug-Ins, Settings, and Security Options. With WooCommerce you will be benefited for effectively beautifying the store, integrating social media and content with the store. Though WooCommerce is not a hosted platform, there are providers that have WordPress and WooCommerce hosting available unlike many e-commerce platforms like Magento and Shopify. In WooCommerce the WP Engine is scalable, secure and reliable and is very similar to Shopify’s entry point. The WooCommerce hosting typically costs starting from of $30 per month. If you have an existing WordPress site installing and activating the WooCommerce will be easy. Otherwise, with WordPress + WooCommerce, an installation will be necessary. These major benefits of WooCommerce platform will help you for developing and enhancing your online store and achieving a large customer base. Anchal Malik has defined the major WooCommerce features that speak in favor of the platform. WooCommerce is the best ecommerce platform and one of the smartest choices offering responsive designs and themes, advanced e-commerce functionality, great capabilities for marketing and SEO, easy website management and all the advantages of a hosted solution. Are you seeking WooCommerce experts to build an Online Store? Being one of the top e-commerce solution providers , WooCommerce development services have incorporated best WooCommerce development services and got a huge appreciation for previous successful e-commerce projects. Hire the creative, up-to-date and well-versed WooCommerce developers to build an interactive and powerful online store having potential to gain large customer base and revenue for your business. Author Bio: Anchal Malik works at Excellent WebWorld as a Creative Content Writer and looks after content marketing. Always smiling and keen to learn new things. He has keen interest in Mobile App Development, WooCommerce development services and App Marketing. Marketing and e-commerce expert, certified International relations manager. The more you read, the more you know. The more you know, the more you achieve. Besides, the more you share your knowledge the better the world becomes. 8 thoughts on "Why WooCommerce is Best eCommerce Platform? [Expert opinion]"
Thank you for commenting Cart2Cart blog article. Your active consideration is a source of inspiration for us. We have many other WooCommerce related articles and it would be nice of you to check the rest of them. Thank you again and hope to hear from you soon. The article is fairly comprehensive in explaining the various features of WooCommerce that make it arguably the most preferred plugin to build eCommerce portal. Thanks for such an informative article. Hello, thank you for sharing your opinion. We appreciate it very much. What are the other aspects you’d like to read about? Hello. Thank you…Interesting page :).